The Greely PTO is excited to kick off this year's Parent University series starting next week with two sessions that go hand in hand - we hope you can join us! 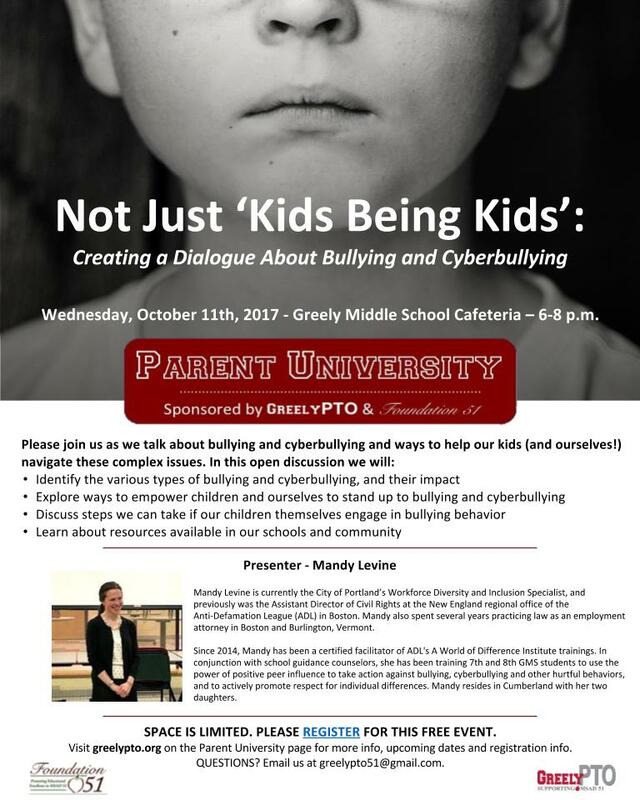 Please join us on Wednesday, October 11th at Greely Middle School Cafeteria, 6-8pm, for this interactive session led by Mandy Levine, certified facilitator of ADL's A World of Difference Institute, we'll discuss ways to help kids and ourselves navigate these complex issues. 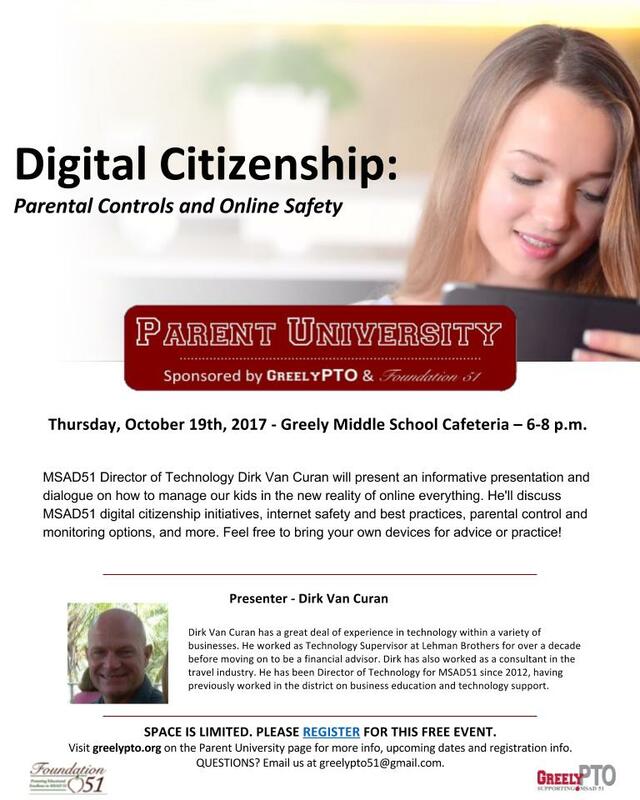 This session on Thursday, October 19th at Greely Middle School Cafeteria, 6-8pm, will be led by Dirk Van Curan, MSAD-51's Directory of Technology. Dirk Van Curan will present an informative presentation and dialogue on how to manage our kids in the new reality of online everything. He'll discuss MSAD51 digital citizenship initiatives, internet safety and best practices, parental control and monitoring options, and more. Feel free to bring your own devices for advice or practice!